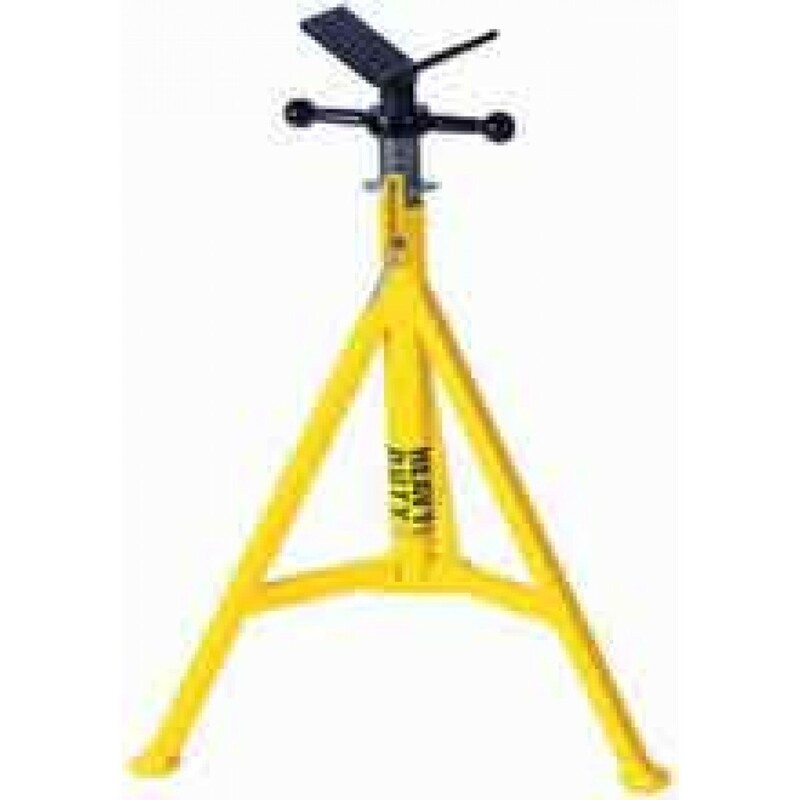 A heavy duty jack featuring a roller head assembly and a load capacity of up to 2500 lbs. The Sumner 780376 Hi Heavy Duty Jack with Roller Head features a roller head assembly. Roller head is perfect for welding pipes and shapes. Jack head can be locked to the stand for transportation by the set screw. The quick action lockwasher makes height positioning fast and easy. Legs can be replaced easily for quick and easy repair.